Skin is the largest organ for our body and the common problem regarding to the skin is acne. It is a fact that most or even all of us have to face this problem. The difference is whether the acne becomes worst or not. Acne often being associated with teens but in fact it happen to people at any ages. Today we can see a lot of acne treatment offered by various parties including doctors and cosmetic companies. Some of these treatments valued at hundreds or even thousands dollars. Some people might consider trying to get rid of acne through the treatment because of the effectiveness regardless of amount of money that they have to spend. Getting rid of acne through treatment or cosmetic products might consume a lot of money so the best way is by getting rid of acne by yourself. Let’s see how to get rid of acne by yourself without expensive treatment or products. Jogging is a good way for you to stay fit. 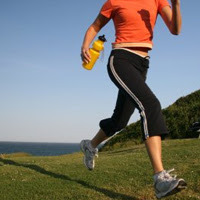 Some people practice jogging as a lifestyle especially the athletes where they need to jog frequently in order to maintain their stamina and fitness. Hi there. Welcome to Daily Healthcare.net! My name is Alone and I’m the admin for DailyHealthcare.net. This is my first article for this site and I welcome all you to this site. I’m a part-time blogger and currently studying Urban & Regional Planning. I love to share ideas, opinions and knowledge with the others and it encourages me to involve in blogging and then creating this blog – a blog on healthcare that is important in our life.